A snuggly pair of mittens Christmas card. This card features my Christmas mittens illustration. It's a fun card to send to a loved one this Christmas. 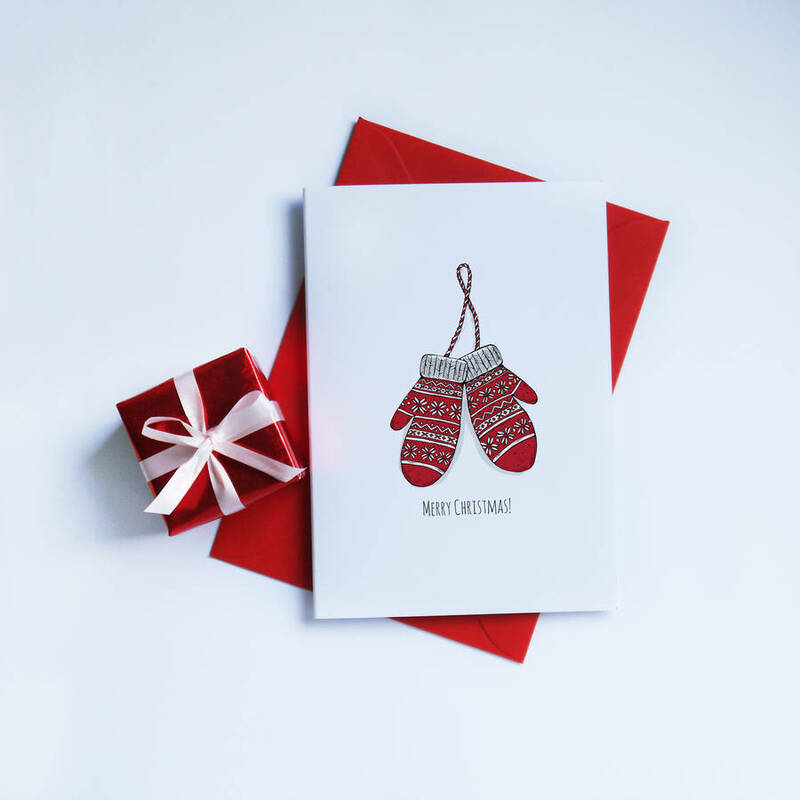 The inside is left blank for your own message and it comes with a festive red envelope.